Cross the two things that Bend is best known for, bikes and pubs and you get Bend’s newest pub on wheels. 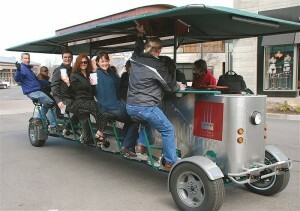 The Cycle Pub of Bend is a BYO Beer/Wine human powered mobile pub. For $300 (about $21/person) you and 13 of your closest friends can rent out the Cycle Pub for 2 hours, unless it’s the last tour of the night (from 8:30-10:00) you get it for 90 min. At 5 miles an hour your not going to break any speed records but it sure looks like a good time. 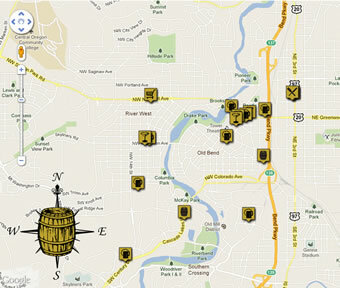 There are a few different pre-defined routes and you can even go along the Bend Ale Trail to sample some of Bend’s best beers.